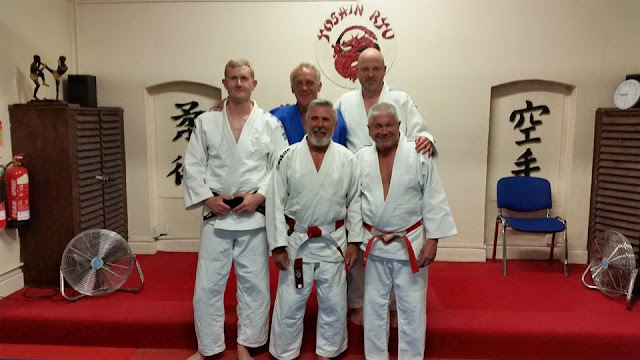 I had the pleasure of sharing the mat with a true Judo legend on Monday, none other than Brian Jacks 8th Dan. 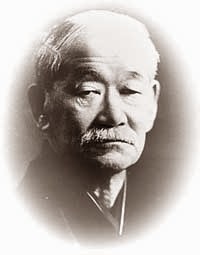 Mr Jacks is the club president of Yoshin Ryu and close friend of the owner of Yoshin Ryu, Sensei Errol Field 7th Dan. Anyone growing up in the 1980's would perhaps remember Brian more for his exploits on the BBC's Superstars program which he dominated for many years. He made Parallel bar dips fashionable until people actually tried to do them themselves and realised just how bloody hard they are to do. I think he managed 100 in 60 seconds which was a world record. Funnily enough when I was heavily in to lifting weights I would always end my session doing dips but I never managed to do anymore than 60 before collapsing in absolute agony. Anyway Brian Jacks was one of my childhood heroes and sharing the mat with him and posing for a photo with him afterwards was a fantastic experience. Back row, Brian Jacks 8th dan, Oliver Bradley 1st kyu.